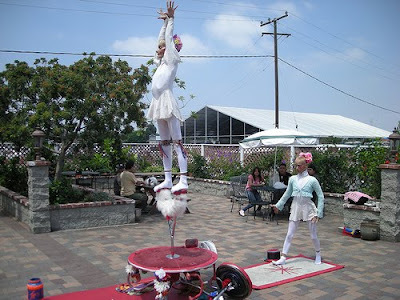 los angeles chocolate salon october 11: giveaway!!! 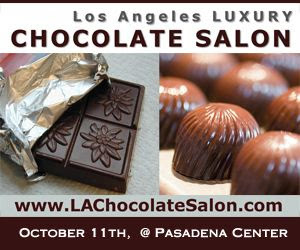 i am excited to check out some new chocolatiers and some old favorites (including amano, jade, and valerie) at the los angeles chocolate salon. win some tickets to the salon so you can be your own snob! 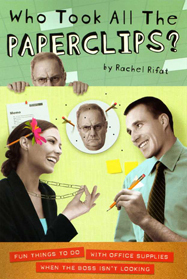 just click here to send an email, by october 2, and two winners will be picked at random. good luck! this is a very, very sweet milt chocolate with an air of cinammon. 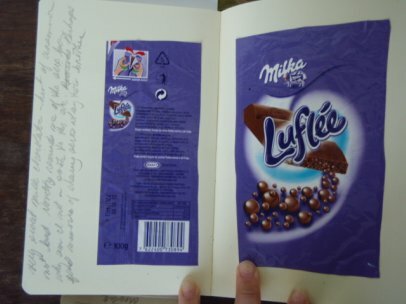 it is not bad for a novelty chocolate and for someone who is not a snob. the bar comes close to the aero bar which always brings fond memories of my youth. and, you can find an amazing selection of chocolates at unusually low prices - - - heilemann chocolates are just 1.25!!!!!!!! 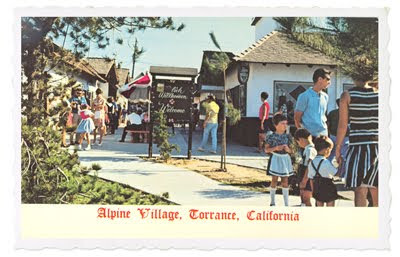 alpine village may not still look like the pictured vintage postcard but you must make the trip if you are a fan of camp and excellent prices on chocolate.